Clean Up City of St. Augustine, Florida: Governor DeSantis SUSPENDS Sheriff SCOTT ISRAEL Over Parkland Shooting; Will Sheriff DAVID SHOAR Be Next, Over Michelle O'Connell Homicide Case, $700,000 Embezzlement? Governor DeSantis SUSPENDS Sheriff SCOTT ISRAEL Over Parkland Shooting; Will Sheriff DAVID SHOAR Be Next, Over Michelle O'Connell Homicide Case, $700,000 Embezzlement? Florida Governor Ron DeSantis will suspend Broward County SHERIFF SCOTT ISRAEL this afternoon, in front of the Sheriff's office, where he is expected to speak about government accountability. Last month, I wrote then-Governor-elect DeSantis asking him to order an independent investigation and forensic audit and to suspend St. Johns County Sheriff DAVID SHOAR over the Michelle O'Connell case coverup and the $700,000 embezzlement by SHOAR's Finance Director. 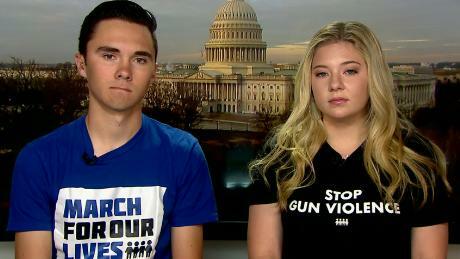 (CNN) The Florida sheriff whose office responded to the massacre at Marjory Stoneman Douglas High School in Parkland will be suspended by the state's new governor Friday, a source familiar with the process told CNN. The governor is expected to make the official announcement at 3 p.m. at the Broward County public safety complex, during an event billed as "a message on holding government officials accountable." The Broward County Sheriff's Office would not comment on the report. "Sheriff Israel has received no official word from the governor or his office of the purpose of this visit. 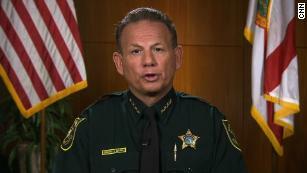 The sheriff remains steadfast in continuing to serve the citizens of Broward County as well as the men and women under his leadership," the sheriff's attorney, Stuart Kaplan, told CNN. The Miami Herald reports that the governor will name retired Coral Springs Police Sgt. Gregory Tony as Broward's interim sheriff. According to the body's website, it makes "final dispositions" on whether to reinstate a suspended official or remove him from office. Nikolas Cruz has confessed to being the gunman, and carrying out the shooting at his Marjory Stoneman Douglas High School, his former school, according to court documents. 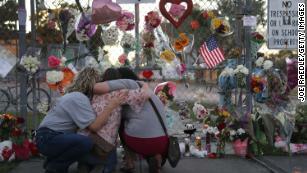 The attack, which also left dozens injured, is one of the deadliest mass shootings in recent US history. In April, Broward County sheriff's deputies took a largely symbolic vote of no confidence against Israel, with union President Jeff Bell vowing to ask the governor to consider removing Israel. The sheriff said then the vote reflected only "a small number" of BSO employees and the union representing the vast majority of employees "solidly supports the leadership of this agency." In December, the Marjory Stoneman Douglas High School Public Safety Commission, which is investigating the shooting, released its draft report. Some of the failures and missteps highlighted in the commission's report ranged from unlocked and unmanned gates on the Parkland campus to an inadequate public-address system. The report also said former Deputy Scot Peterson, the school resource officer, was "derelict in his duty" and "failed to act consistent with his training and fled to a position of personal safety" during the mass shooting. Peterson instructed deputies to stay away from the building where the shootings took place, the draft said. The commission presented its final report to state officials on January 2. CNN's Eli Watkins, Ray Sanchez and Tina Burnside contributed to this report.